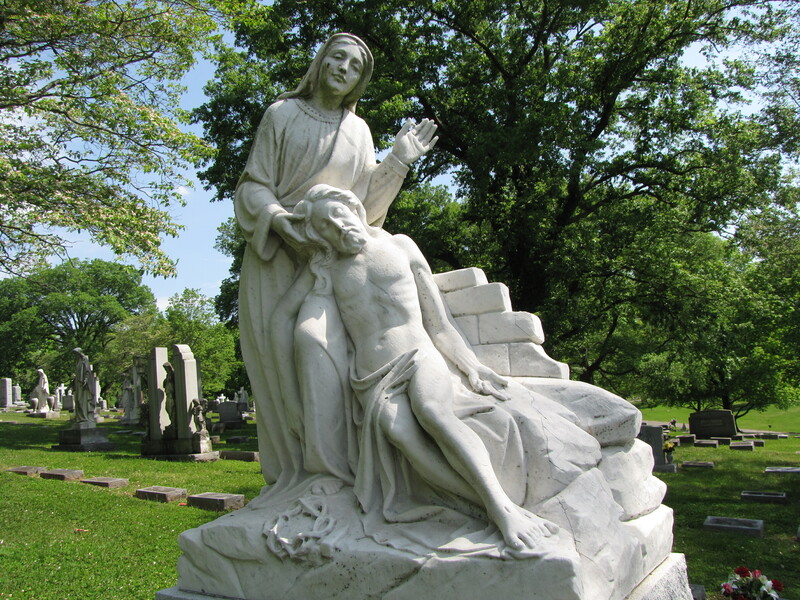 The Pete and Annie Riley monument in the Calvary Cemetery at Nashville, Tennessee, features a white marble sculpture of the Virgin Mary and the dead body of Jesus Christ. Works of art, usually sculptures, depicting this subject first began to appear in Germany in the 1300s and are referred to as “vesperbild” in German. Images of Mary and the dead body of Jesus began to appear in Italy in the 1400s. The most famous of these sculptures is Michelangelo’s pieta which he sculpted for St. Peter’s Basilica in the Vatican, carved when he was only 24 years old.